At times, when you encounter a bug in an application and want to report it to the manufacturer (e.g. when reporting bugs to Microsoft on Connect), it may help to attach a video demonstrating the problem when you reproduce it. 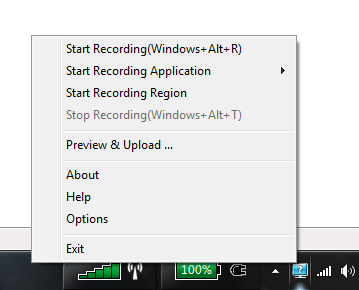 When installed and started, the Community Clips application displays an icon in the system tray where recording can be started/stopped. After stopping the recording, the captured video can be re-played, saved locally as wmv file, or sent via email.